In a developing country like India, Africa, Asia and other nations who are part of the third world, where the economy is not that great in you to compare with the United States of America, Europe, etc. In developing countries, the excess population led to more peoples who are looking for work. Earlier the absence of jobs in various fields led to the increase of unemployment in the developing nations. But now with the growth of technical education and vocational training, there are various industries in developing countries who are looking for technically – skilled people. A large number of the youth brigade are joining various vocational training after their school and are getting huge employment opportunities in many industries after completing their vocational training in a particular trade. So, pursuing a vocational training is beneficial for developing countries in many ways. This is discussed below. Easy availability of good jobs: A student pursuing vocational training in a particular course or trade gets training of the course in theory as well as practical sessions. This blend of training makes the students get the industry-specific skills and training which are highly wanted in various industries and many jobs. After gaining a certificate of the particular trade after completing the vocational training, it makes very easy for a student to get a job. Moreover, they can also work on their own instead of doing jobs. For example, a carpenter after getting vocational skills can start his own workshop and work on his own and be his own master. High demand for the technically sound workforce: Industries in developing countries are always looking out for a skilled workforce for a huge number of jobs in various industries. Earlier very fewer students opt for vocational training and go for traditional degree courses to pursue white-collar jobs in their future. Now with the rise of vocational training and vocational colleges with full support from the Government, the gap between the demand and supply or workers are soon filling up. Now the natives of a particular country like India or Africa can get jobs easily. Moreover, the money spent by the industries to import technically skilled people from the foreign countries are also stopped. Now the industries are recruiting only the local peoples. 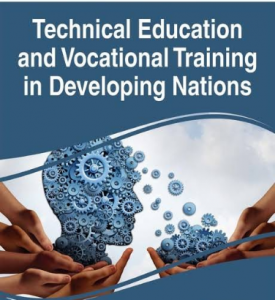 The rise of vocational colleges and institutions: The concept of vocational education and training was totally a new concept to the developing countries a few years ago. Now with the rise of educational institutions like ITI in India and Workforce Development Authority (WDA) of Ghana and many more are encouraging the peoples from the lower strata to take up the vocational courses and earn a good income and have a secured future. Chances of earning in foreign currency: Technically skilled people who are well experienced have a tendency of working abroad. Their vocational training certificate along with some experience are just enough to get a good blue collar job abroad. Here the pay package is much better than their native developing countries. Low fee Vocational training: In a country like India and Africa, the cost of the education and other education-related expenses are quite high. Hence, getting a good education is a distant dream for poor people. So, a vocational training can provide them a good job with a secured future. Vocational education is inexpensive and the courses provided can be completed in a shorter period of time. This gives the candidates an opportunity to earn money very soon. High rise in the economy: When the industries stop looking for workforce abroad and instead hire the native skilled workers then a huge chunk of the countries income is saved and instead the native countrymen are getting the benefits. This led to the stable income of the country and very soon there will be the very low scope of unemployment. In the current scenario, the vocational training is fast becoming one of the popular sought after courses for the youth brigade. This is quite popular because it gives them the desired job and the ability to earn early. The vocational training is for those people who cannot wait four years of traditional courses to get a job. Especially the lower and middle strata of the society in developing countries opt for these courses. This makes them get the industry-specific skills and training and secured job in various sectors of Commerce, Engineering, Home Science, Agriculture, Healthcare, hospitality & tourism and other trade-specific programs like carpentry, electrician, etc.